Is a Goodreads Giveaway Worth it? I finally finished Chains of the Sciell. I don't just mean writing. Images are done. I've gone over it several times to remove errors and check for consistency. Thanks Kelly Hashway for the Kindle text-to-speech tip! The final step in the editing process was to have Kindle read my book to me. Picked up all kinds of errors. Finished the ebook and print layout. 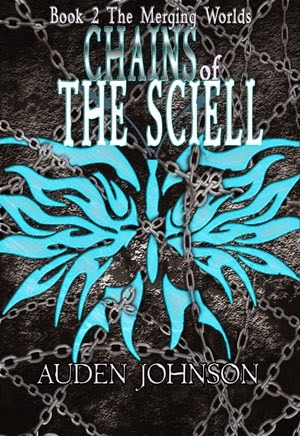 Chains of the Sciell is now ready to be sent to reviewers. It's ready to be uploaded to Bookbaby and CreateSpace so it can be available for pre-orders! Time for the heavier promotions. Last year, with The Sciell, I ran a Goodreads Giveaway. At the time, I said it was successful. 500+ people added the book to their to-read shelves. 900+ entered the giveaway. A year later and I'm realizing all that was just ego stroking. I got one review out of the giveaway, a star review, no text. Yes, 500+ people added my book to their to-read shelves, but after the giveaway, I had to watch that number go down. In the long run, no sales or conversations came out of the Goodreads Giveaway. When I was reworking my social media strategy, I pulled back on Goodreads because it wasn't helping brand awareness or book sales. I was going to cut the Goodreads Giveaway out all together for Chains of the Sciell until I remembered Goodreads emails people when a book on their to-read shelf becomes available. If this time around I succeeded in getting some good reviews, that could help publication day sales. Can Goodreads Giveaway Help with Promotion? I decided to run the giveaway as an inexpensive way to potentially let 900+ people know about my book. I don't expect to get any reviews. I'm treating it like an announcement party. Giveaway ends May 06, 2015. 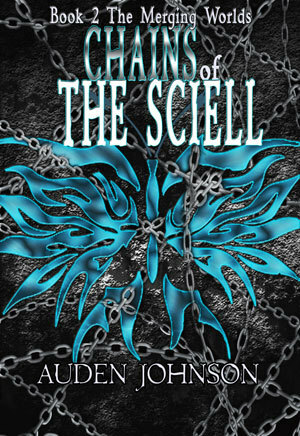 If you'd like a review copy of Chains of the Sciell, email me at audendjohnson (at) gmail (dot) com! For fun, I included in Chains of the Sciell a bonus short story. It's an important battle that took place between book 1 and 2. Here's an excerpt. Rayne disappeared around corners. Nocturne never appreciated how fast her child was. She lost sight of him. She felt where he was going. Down. To the center of the house. Where Dad was. “Granddad, take these damn shields down,” Rayne screamed. Nocturne caught up to him. Dad put another shield around the center of the house. He stood in front of a shadow ball as tall as the room. Each layer represented a shield around the property. The top layer rolled like agitated water. The core flared. Dad grunted. He stumbled back. Pinching the bridge of his nose, he stepped forward and lifted his hand towards the core. Rayne growled, beating the invisible barrier. Dad ignored them. A layer of the shadow ball turned to black wind. It disappeared. A sour taste lived in her mouth. Her chest tightened. The army was going to get in. Dad finally looked at them. “You old man let me out,” Rayne screamed. Nocturne grabbed her child and turned him around. Rayne jerked out of her hands. He raced around her. Nocturne dug her hands into his shirt and turned the brat around. Rayne’s eyes widened. He stared at the floor. The world went fuzzy around the edges. Nocturne lost feeling in her fingers. The putrid odor from those monsters outside thickened. She couldn't breathe. Nocturne closed her eyes. She had to be strong for her boy. Her power thickened around Rayne. She fed his core more Lifeblood. His warm presence put the world into focus. They needed to get out of this house.